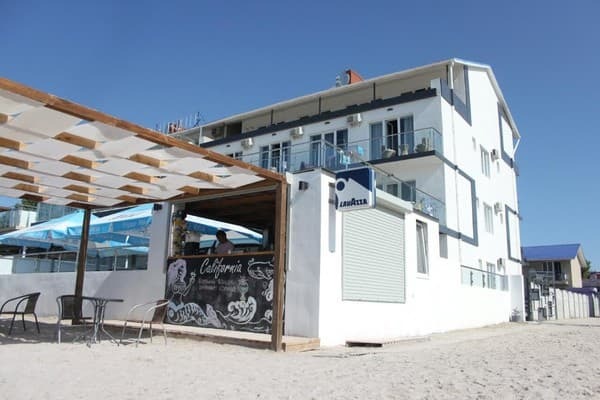 Hotel "California" is located in the resort village of Koblevo, 25 meters from the sea with direct access to the beach. The hotel is a modern building, one-room suites and two-room apartments are offered at the choice of visitors. 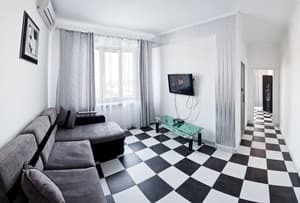 Each room is made in an individual original style, has access to a balcony or terrace and is equipped with LCD TV with satellite TV, refrigerator, air conditioning, clothes dryer, hairdryer and electric kettle. Cold and hot water is served around the clock. 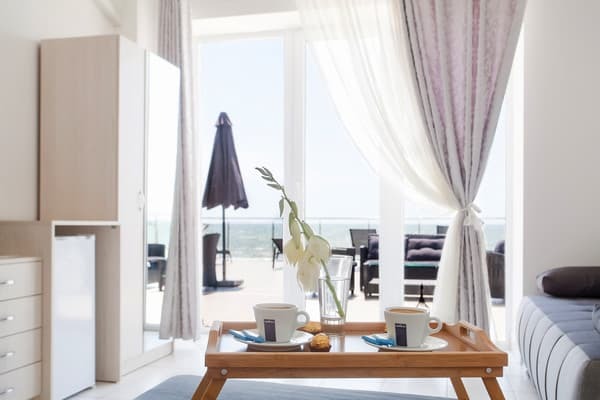 Most rooms have a beautiful view of the sea. Free Wi-Fi is available throughout the property. There is a guarded parking lot for guests. In walking distance from the hotel "California" a wide selection of cafes and bars. 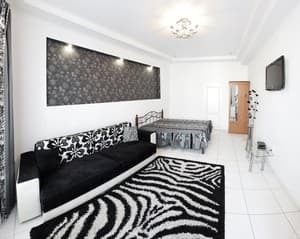 Description of the room: Comfortable single rooms, each of which is made in an individual, modern style according to catalogs of American designers. A distinctive feature is the original layout, an abundance of panoramic windows, balconies and terraces in each room overlooking the seascape. 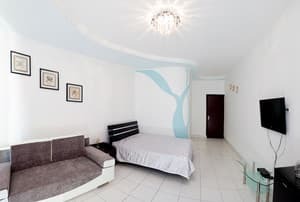 All the necessary amenities for a comfortable stay are provided, namely: hydro box, hot and cold water round the clock, safe, refrigerator, wardrobe, air conditioning, LCD TV with satellite TV, hairdryer, personal equipment set, electric kettle, clothes dryer. Description of the room: Comfortable single rooms, each of which is made in an individual, modern style in the catalogs of American designers. 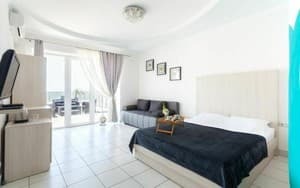 A distinctive feature is the original layout, an abundance of panoramic windows, balconies and terraces in each room overlooking the sea landscape. All amenities necessary for comfortable rest are provided, namely: hydrobox, hot and cold water around the clock, safe, refrigerator, wardrobe, air conditioning, LCD TV with satellite TV, hairdryer, set of personal belongings, electric kettle, clothes dryer. Description of the room: Spacious two-room rooms, each of which is made in an individual style according to the catalogs of American designers. The bedroom opens onto a spacious (100 sq.m.) 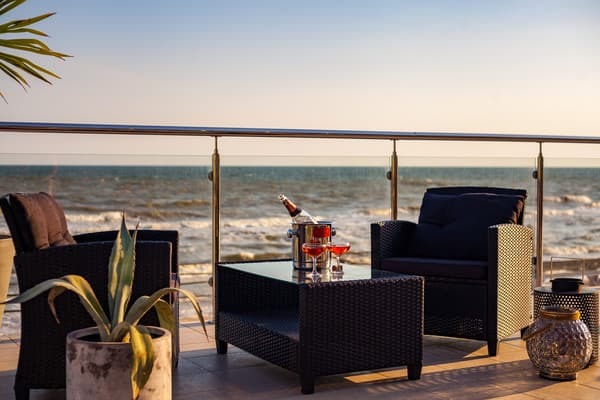 balcony-terrace with sea views. All amenities necessary for comfortable rest are provided, namely: hydrobox, hot and cold water around the clock, safe, refrigerator, wardrobe, air conditioning, LCD TV with satellite TV, hairdryer, set of personal belongings, electric kettle, clothes dryer. Within walking distance from the hotel "California" there are cafes and bars for every taste. 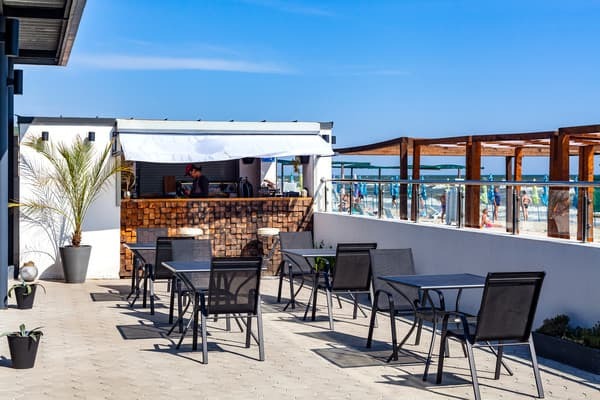 The hotel is located in the center of the resort village of Koblevo, 25 meters from the sea. From Odessa: from the suburban bus station (near the "Privoz") - a shuttle to the bus station Koblevo. From Nikolaev: from the railway station or bus station - a shuttle to the bus station Koblevo.